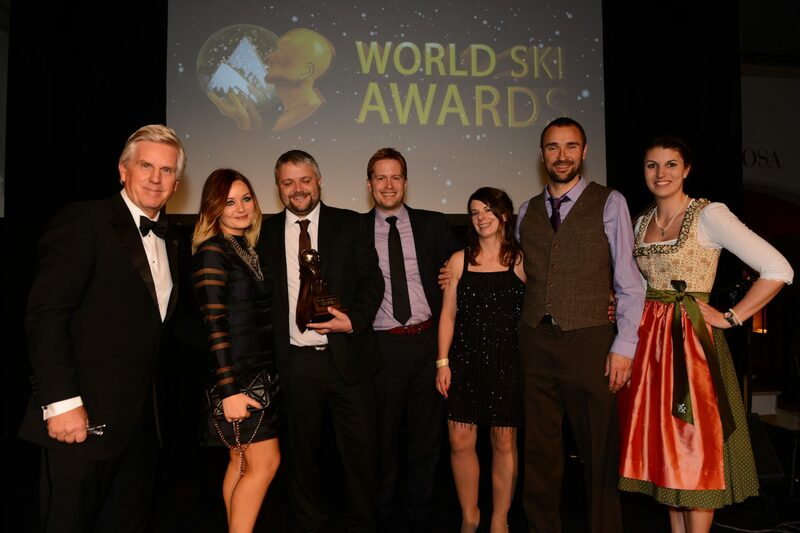 Last weekend we whisked ourselves off to Kitzbuhel to see if we had won a World Ski Award for Best Transfer Operator! Waking up fresh faced we proceeded with several courses of waffles and other delightful goods ready for a tour of Kitzbuhel! Peppi, our Kitzbuhel born and bred tour guide, lead us round town, giving us the full low down on the history of Kitzbuhel and what the tourist industry means to them. Plus one very detailed throw by throw account of what it’s like to ski the famous Hahnenkamm downhill course. After a quick refresh into our glad rags, we were ready to rub shoulders with anyone from Ski-Resort owners to tour operators and following a champagne reception we were off for dinner and the start of the awards! Anticipation grew course by course and eventually reaching our category we crossed all our fingers and toes! The lovely Steve Ryder was our host and as he called our name as the winners we all jumped out of our seats in excitement!! A raucous gathering on stage, a quick handshake and photo op and that was it! We were crowned winners! And what a weekend it was. It’s been a while since the team have had a chance to get together, winters are so busy for us all and it turned out to be a great pre-season gathering all topped off with us winning! Big thanks to all that voted we couldn’t have done it without you!